Kawasaki’s J125 scooter launches the firm into the competitive 125cc market. 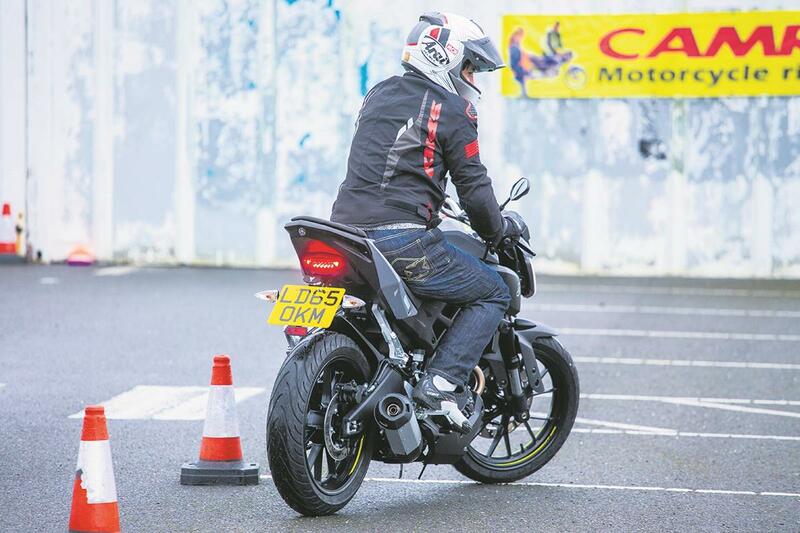 We pit it against the big-hitters at a bike training centre to find out if the J125 has the skills to be a learner-friendly best-seller. You’re looking at the UK’s most important machines – the best sellers. And they’re record breakers for a reason because they’re the new– and urban – riders’ bikes of choice. 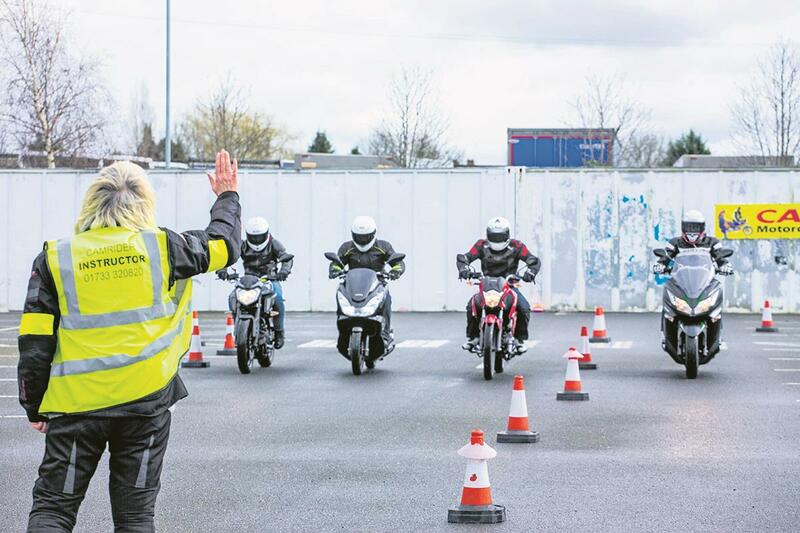 These are the machines every learner weighs up before stepping into a showroom for the first time, their tickets into the two-wheeled world before stepping-up to bigger capacity bikes. And now Kawasaki want a slice of the pie with their new J125. 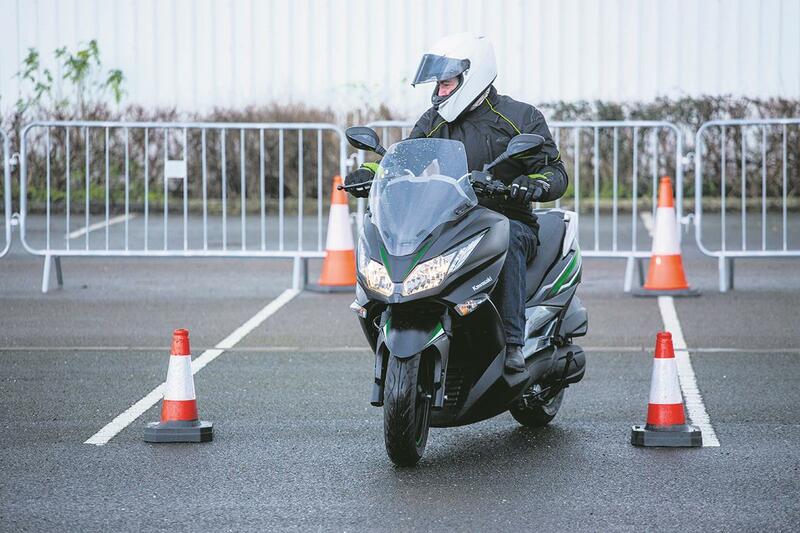 But to be a best seller it must match the current 125cc champions on value for money, style, ease of use, practicality and accessories – the essential ingredients for any learner-friendly champ. So, to find out if it’s got what it takes, we go back to school to put it though its paces. There were some nervous smiles that morning. I could see the reminiscent fear of 17-year-old newbie riders in the faces of these men who have long since passed their motorcycle tests. “What sort of tests? I’ve passed mine already!”, shouted James. “Don’t worry, we’re testing the bikes, not the riders,” I said, trying to avert an early mutiny. As the fight to grab the Yamaha MT-125 keys kicked-off, James shoved Justin for the MT, Liam dived onto the Kwak and I was left with the little Honda PCX125. I can see why any learner would be well chuffed with the Yam; it looks nothing like the rest of the bikes here. It’s big, tall and imposing with aggressive styling, sharp angular lines and wide bars for a haunched look. It’s by far the coolest bike on test. Yamaha have done an excellent job of making it look like a middleweight with a swish, comprehensive three-section dash, 41mm inverted Kayaba fork, fake air intakes, a belly pan and a stubby tail unit. Lumbered with the PCX, all I could do to regain some semblance of superiority was to point out that the Yamaha was the only bike to lack a centrestand, and show off the PCX’s underseat storage space, which is just about big enough to swallow a helmet. But nobody seemed to care. Once moving, though, I immediately warmed to the UK’s favourite scoot. It’s incredibly smooth and easy to ride. The dash is simple and displays everything you need, and it’s also the first ever two-wheeler to feature stop-start technology, not that you should ever be stopping much on a scoot, and our mpg figures revealed an already impressive 86.92mpg, returning 153 miles from its tiny eight-litre tank. The light and agile chassis worked brilliantly through the city centre, making it fun to flick between cars and round tight bends. The only let-down was the nonexistent screen, which becomes an annoyance once you’ve broken free of the high street. Always dancing in its mirrors is the J125, looking like a Kawasaki ZX-10R from the front with its sleek Ninja-family styling. Not bad for a redesign job, as the J125 is really a Taiwanese-made Kymco Downtown 125 beneath the cosmetic makeover (just like the larger J300, which is based on the Downtown 300). All Kawasaki did to make the 125 version was swap the 300 engine for a 125 – almost everything else remains the same. This means it’s a far more physically substantial machine than its competition, which in turn makes it the heaviest on test at 182kg. The seat is huge with a lower backrest, which is like sitting in an armchair, and comes with far more under-seat space than the Honda. It also has a little cubbyhole and a shopping hook up front. The only problem for 6ft 1in Liam was leg space; the J125’s footboards won’t allow you to splay your feet forward, which means knees are always at a 90-degree angle. But despite its size and weight, it still handles well and is engaging to ride. It’s easy-going in town and sporty on country roads, with a responsive motor, adjustable levers, posh switchgear and flash dash. Bringing up the rear was the CB125F. Despite only being updated last year, we all agreed that it was due another one already. Honda treated it to a slightly fatter fork, revised styling and a new fuel-injected motor to increase low to mid-range torque, but both peak power and torque decreased slightly over the previous motor. Even if the numbers had stayed the same, it’d still produce the lowest figures of this bunch, and would still be the last to roll into the test centre. We lined up for our first test – emergency braking. But as we waited for the instructor’s signal someone blipped their throttle, igniting a furious flurry of revs and we were now doing an acceleration test instead. The instructor dropped her hand and we all screeched forward. The Yamaha blitzed it with its racy YZF-R125 motor. 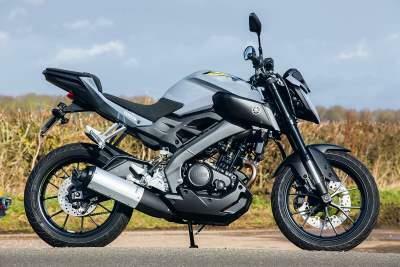 It packs the biggest punch at 14.79bhp and 9.15ftlb of torque, while the heavy Kawasaki is just behind it with 13.8bhp and 8.48ftlbs torque. The little PCX came in third with the old air-cooled CB tailing behind. After a stern telling off we lined up once again – this time with restrained wrists, and childish grins hidden beneath helmets. We moved off together, quivering fingers hanging over clutch and brake levers. Once we were all at a steady 25mph the signal was given and the CB125F and PCX’s tyres screeched. Neither of the Hondas have ABS, but the PCX features combined brakes that help keep it balanced under hard braking. The CB with its dated rear drum brake and twin piston caliper up front took the longest to stop, followed by the PCX. It was a close call between the Yamaha and Kawasaki, with Team Green just about taking the win. The MT-125 was incredibly close behind and demanded a rematch. But everyone else was already lining up for the next race. If we’re not allowed a proper race, we’ll have a slow race instead. Our instructor had been saying how important low-speed clutch and brake control is for learners, anyway. The slow race very quickly – or slowly – turned into a trials bike-style test of balance and control. With elbows nudging rib cages, boots kicking knee caps and more than a little cheating we set off, last one to the finish line is the winner. The two scoots were easiest to control, and despite the Kawasaki’s physical size and weight, it was the most well balanced, earning its second win of the day. Low-speed control spelled bad news for the MT-125. It was embarrassingly eliminated during stage one. It’s the highest revving of the bunch and the 810mm seat height made it harder to balance compared to the lighter and lower CB125F and PCX. The Kwak was out next, it’s the largest, heaviest and longest making it pretty hard to turn in tight slow arcs. 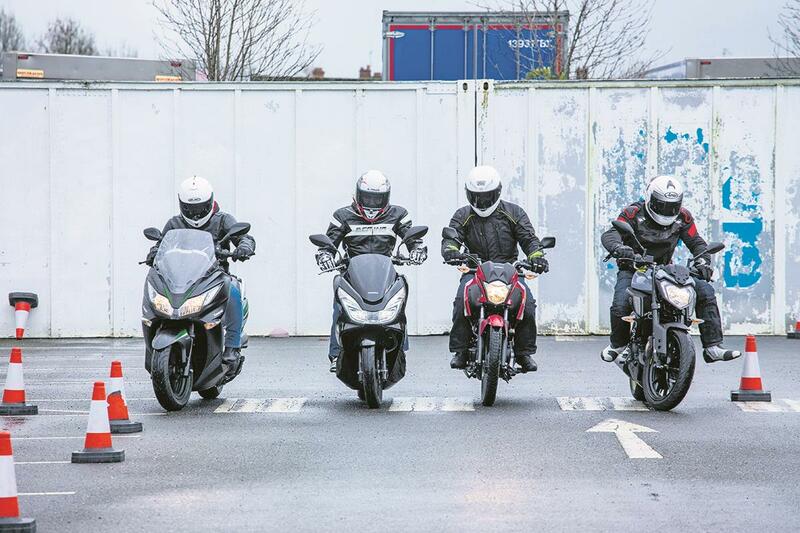 The CB125F has the lowest mass at 128kg, a low seat and easy-going motor, making it a doddle to flick round the two cones. Without clutch control to balance at super low speed the PCX couldn’t tighten up its circles and was no match for the CB125F. At the start of the day everyone made a beeline for the Yamaha, but suddenly nobody wanted go near it. With the worst steering lock of the bunch there was no way it would make the U-turn. Even at full lock it sent me headfirst into the cones on stage one. 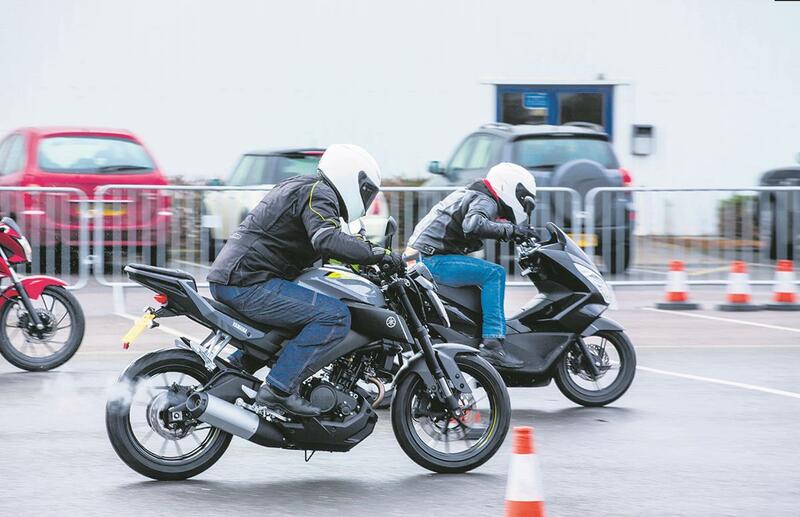 The Kawasaki was next to hit the orange cones of shame, leaving the PCX and CB125 to battle it out. With surgical precision and low-speed finesse Liam took the win on the mighty PCX. 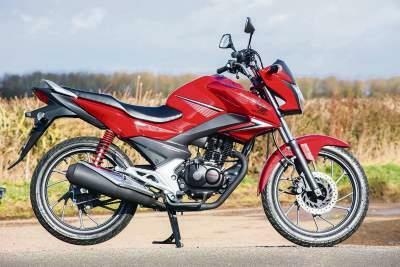 Honda’s CB125F may look and feel dated on the road but it’s incredibly easy to ride, super light and simple. 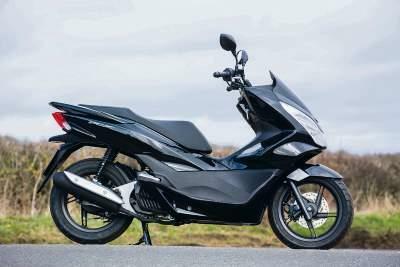 And the same goes for the PCX, the only difference is that it’s more modern, comes with storage space and is a twist-and-go. The Yamaha and Kawasaki are a class apart, with ABS, smart dashes and more versatility than the Hondas. 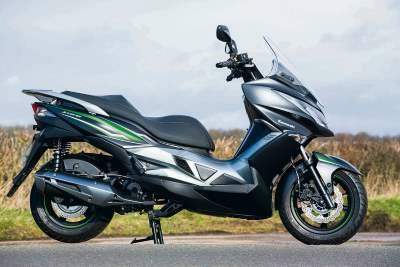 Those already holding a licence who want a refined town bike are firmly in the Kawasaki’s sights though, and, while it’s a great learner-friendly machine, it’s also the one we’d choose as the best urban do-it-all.